Mural District salon Euphoria 1612 hit by a thief. 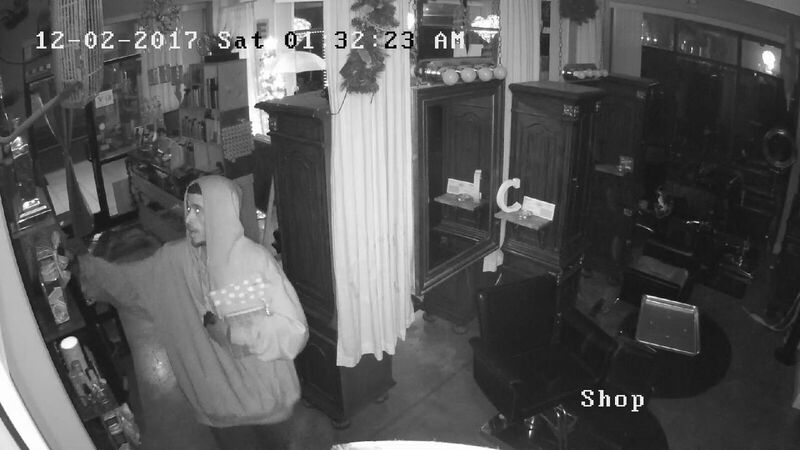 By Mural District salon Euphoria 1612 hit by a thief this morning who took beauty products and Christmas decorations. Mural District salon Euphoria 1612 hit by a thief this morning who took beauty products and Christmas decorations. Owners say he actually broke in, left, then came back for more, all while the owners slept upstairs. They missed him then, but here he is on camera. ABC 30 has reached out to the Fresno Police Department for more information.